Wow finally after 4 y I can see my rank and rank of other legend players. Good job blizzard. Good job. I'm a wild player eu servers. Lmao, it's fine. Thank you dude. It's been a hugeeeeeeeeeee grind. I even streamed going higher than that but it was all full of ResidentSleeper Decks. People who play high legend? I'm planning to get into that list as soon as I'll finally break through my permanent monthly rank4 stuck. The job was only 2/3 done tho. Where is the live Arena board? Oh wow. This is cool! I want to know how many losses I've got throughout my years. I'm at 6500 wins now.. but how many losses? Why is she getting so much attention just because she is a girl? Like sure it’s an accomplishment but many people do the same. She got number 1 legend on two servers last month, granted not many pro players are trying hard for the number 1 spot but I don't think most of the attention she is getting is undeserved. Great job, now we want our personal win rate % for each class. 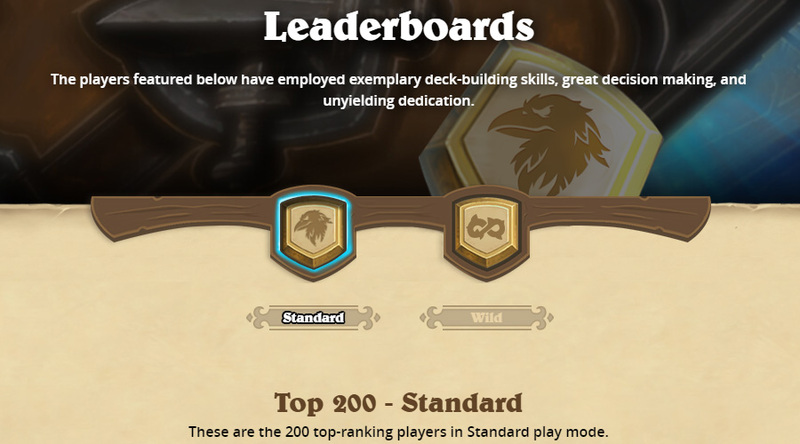 I agree, but if you really want to know it you can start by playing every game with a Deck tracker. It will even track win rates vs every class. It can do all sort if things.